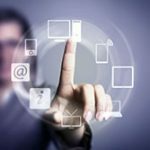 Posted March 21, 2017 by ReceivableSavvy. 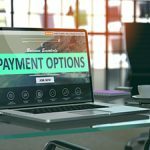 Atlanta, GA March 21, 2017 – As part of a wave of new payment options providing more choices and greater flexibility to supplier organizations hoping to improve cash flow, NACHA, the electronic payments association, recently introduced Same Day ACH. 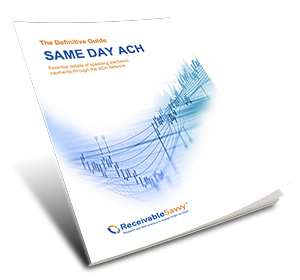 To help suppliers quickly understand the most salient points around this new payment option, Receivable Savvy, the research and best practice resource for Order-to-Cash professionals, today published The Definitive Guide: Same Day ACH, Essential details of speeding electronic payments through the ACH Network. 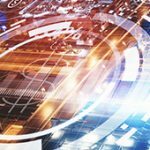 The guide, available as a free download, outlines several areas most relevant to supplier organizations, including why Same Day ACH was introduced, the benefits it offers, how it works, and the 10 most relevant questions and answers for supplier organizations. 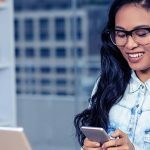 Receivable Savvy’s forthcoming 2017 Perceptions Study reveals that more than 80% of suppliers indicate that their most important issue when submitting invoices to customers is getting paid faster. The introduction of Same Day ACH allows supplier organizations to offer customers this expedited option as part of their overall receivables mix while also addressing their most pressing need.